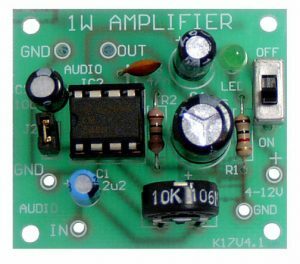 1 Watt Audio Mono Amplifier Kit – CK0701. Soldering required. 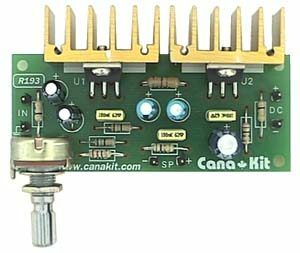 This 1 watt audio mono amplifier kit is intended to be a building block for use with other kits, your own circuits, etc. where a battery powered monaural amp is needed. 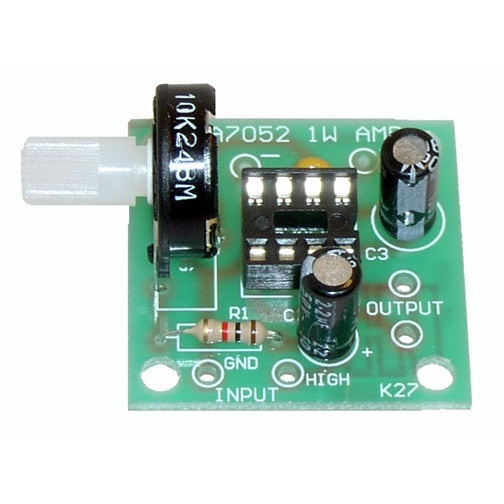 This is a Philips TDA7052 Integrated Circuit based 1 watt power amplifier. 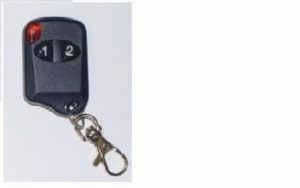 Battery operated from 3 to 15 volts DC, 6 volts is optimum. Output to an 8 ohm speaker. 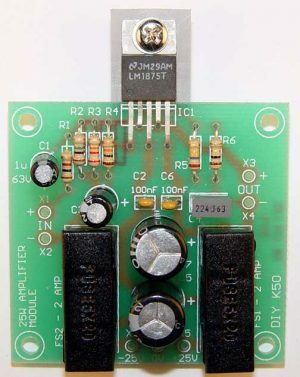 The circuit board is very small, just 1-3/16″ square (tallest component stands about 5/8″ tall). 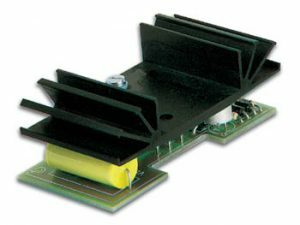 Few components are needed and no heat sink required. Freq. response 20 Hz to 20 kHz. Complete Data sheet included. 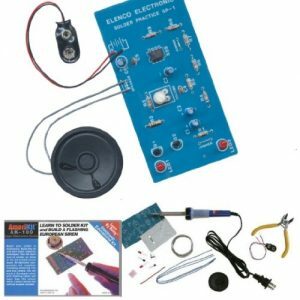 One of our customers (thanks Wayne) raved about how this made a great low-power guitar amplifier with a 4″ speaker.